We featured in the April 2017 edition of The Simple Things magazine. We were recommended by Rachel de Thame in the Sunday Times in January 2017. We were recommended by Gardeners’ World magazine as one of the ‘Best Blogs to Follow’ in their January 2017 issue. 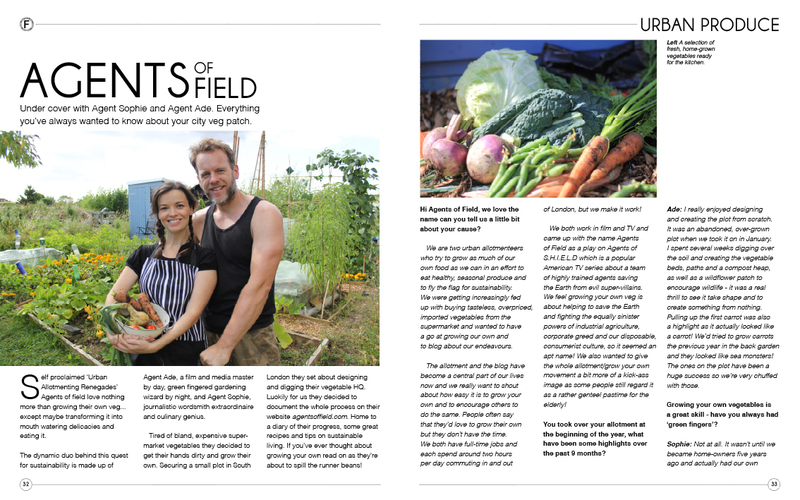 Agents of Field were included in Walton’s Sheds list of Amazing Allotment Blogs in August 2016. Ade shared his Top Tips to Grow Something Green in Grow Your Own Magazine in July 2016. 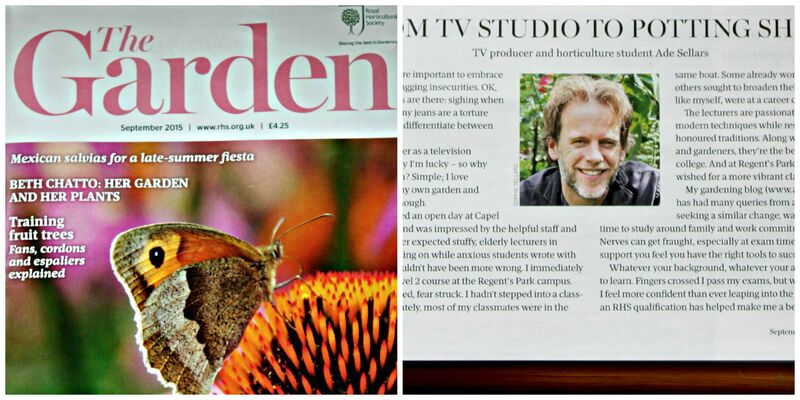 Ade wrote about his experiences studying with the RHS for the September 2015 edition of The Garden Magazine. We featured in FACED magazine, an excellent quarterly which promotes sustainable living. The full interview can be read here. (Reproduced with the kind permission of Marc Hoyler). In November 2014, we were delighted to be awarded ‘Blog of The Week’ on The Dirt Radio Show which used to broadcast live each Monday on Fab Radio International. You can still download the podcast right here and hear us chatting to Simon and Co (we’re on from about 13:17). We’ve contributed to The Guardian’s ‘Protect Our Plots’ assignment for two years running and featured on their website in 2014 and 2015. 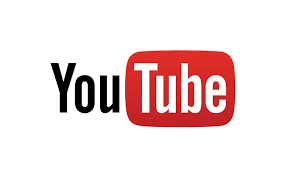 For video updates fresh from the plot, you can subscribe to our YouTube channel here.